Want to keep your place comfortable all year round, whether it be heating or cooling, without paying a fortune? Let us take care of your air conditioning needs, and get it done right! AEP Electrical and Refrigeration specialise in all aspects of Air Conditioning in the Adelaide Hills and pride ourselves on quality work & fair pricing. We have built up a great reputation by consistently providing our clients with the highest quality services. We offer services for split-system and ducted air-conditioning – whether it’s installation, maintenance, servicing, diagnostic, changeover or removal. We can install an air-conditioner you purchased yourself, or we can supply a quality air-conditioning unit and install it into your Adelaide Hills home or business. We have a wide range of experience with the most challenging of installations. With our extensive experience and versatility in the industry, we guarantee quality workmanship at a competitive price. 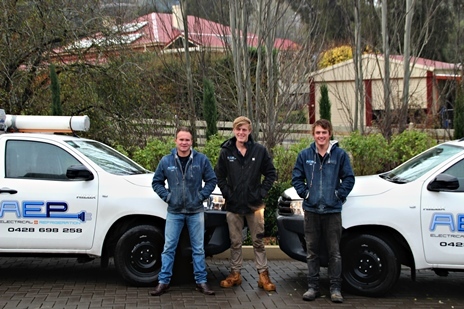 Situated in Mount Barker, we install, repair and service air conditioning units in all areas of the Adelaide Hills – If you live in Strathalbyn, Murray Bridge, Aldgate, Bridgewater, Hahndorf, Victor Harbor, Blackwood, Coromandel Valley, Gumeracha, Birdwood, Springton or even right out to Goolwa, Port Elliot and Victor Harbor, we can help! We work with a range of brands, including Daikin, Mitsubishi Heavy Industries, Mitsubishi Electric, Midea, Panasonic, Fujitsu and many more. Our business thrives on return customers, which is why we strive to provide our clients with the highest quality service. Our team would love for you to join our happy client base, so get in contact with us today for a no obligation, free quote! We work with a range of brands which we can supply and install or alternatively you can supply the Air Conditioner and we will install it for you.